Has November really ended? It seems like I just started this challenge yesterday! I suppose when I am busy reaching writing goals that time flies by! Since last week, I wrote ten pages. I completed Act I Scene VIII and wrote most of Act II Scene I. The holidays doesn’t make it easy to escape and write. So I planned ahead of time to write as much as possible before the turkey made it to the table. My overall goal for this year’s NaNoWriMo was to complete Act I. Not only did I finish Act I, but I also got a running start into Act II. Not bad for one month’s worth of writing. I plan to keep moving my play forward next month. Not sure if I can finish Act II by New Year’s Day, but I’ll make an effort to get as close to Act III as I can before 2015. 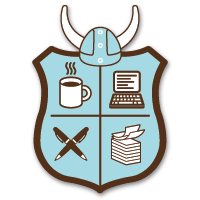 Did you meet your writing goals this month during NaNoWriMo?